AILEEN KYOKO is a half Japanese and half American actress, playwright and director based in New York City. She was born and raised in Manila, Philippines, and lived in six cities and three countries before settling in NYC. As a multi-ethnic artist, she wants to tell stories that reflect the diverse world in which we live. She loves exploring the complexities of human beings and the messy and beautiful relationships we create with one another. In January 2018 Aileen wrote and directed a short play "Going Home" that was featured at the Playwright's Loft. In 2016 Aileen wrote, acted, produced and directed "Hotel Sonder" at the Off-Broadway theatre, The Davenport. In 2015 she acted and co-produced "You Don't Have to Go Home" at The Producer's Club. Aileen was also a contributor to the Project: Girl Series as an actress and writer. 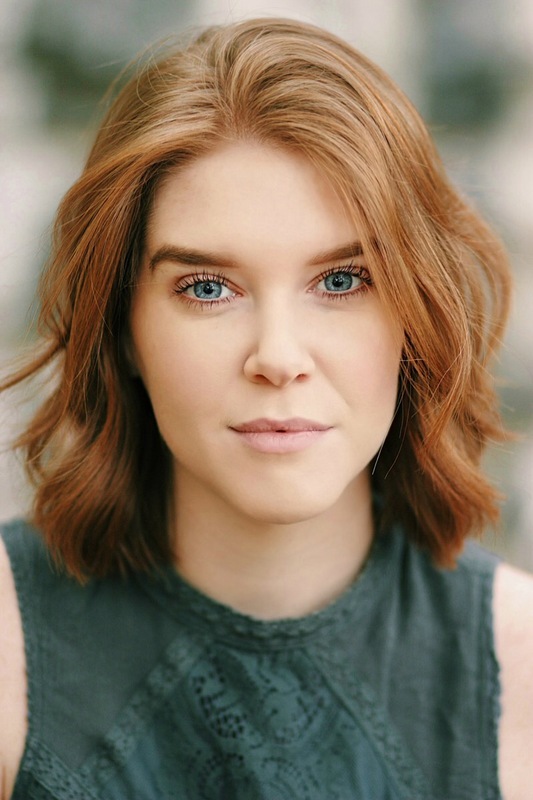 She trained at Maggie Flanigan Studio from 2016-2017 studying the Meisner acting technique and the Williamson Movement technique. You can often find Aileen drinking kombucha, going on three hour walks around the city and listening to the same songs on repeat. She is incredibly grateful for this wonderful cast and crew who have joined her on this journey. And a huge thank you to Planet Connections for creating these opportunities for artists. Ezra Bynum is excited for his Planet Connections Theatre Festivity debut. Ezra can be seen next in ‘Hot Summer Nights’ in which he appears opposite William Fichtner and Academy Award Nominee Timothee Chalamet. He has appeared on Network TV, and a list of other films. His representative theatre roles include Joseph Asagai in 'A Raisin in the Sun', Chicken in 'Kingdom of Earth' and Eddie in ‘Hurlyburly’ . Prior to moving to New York, Ezra attended UMass Amherst and Monmouth University where he earned a scholarship to play football. Ezra is a graduate of the Maggie Flanigan Studio where he studied under Senior Acting Teacher Charlie Sandlan. Matthew Tyler is a NY-based screenwriter who has written feature films and TV dramas for the likes of Working Title Films, Universal Studios, Creature Productions, and every size production company in between. When he’s not writing or artistic directing, he pours his creative energy into Change Better, a nonprofit he co-founded in 2015, where he now serves as Creative Director. He received his Masters in Fine Arts from Columbia University. Lily Guerin is a set designer currently earning her MFA at the Yale School of Drama. Her work has been seen at The LaMaMa Experimental Theatre Club, The Davenport Theatre and Dreamcatcher Repertory Theater. She was also the production designer of several award winning independent films. She is very excited to be involved in the Planet Connections Theater Festival and work for a third time with Aileen and this collection of artists. Sea Shimooka hails from the Bay Area and is an ethnic blend of Japanese, Hawaiian, and European. Shortly after graduating from NYU Tisch, Sea was chosen in a nationwide search for the 2016 ABC Talent Showcase where she received invaluable mentorship from ABC Studios. Typically in front of the camera, Sea has acted in various short films and shot her first television pilot in March. Much love to my family and friends who’ve always supported me. A native New Yorker, Ashleen moved back to NY after receiving her B.A. in acting from DeSales University in 2014. Previous credits include Lucetta (Two Gentlemen of Verona, Pennsylvania Shakespeare Festival), Courtesan (A Comedy of Errors, Pennsylvania Shakespeare Festival), and Ellie (Ghost Stories, Jenny Wiley Theatre). She would like to thank the Planet Connections team and everyone involved in The Year of the Solar Eclipse for the opportunity to play with this stellar group! Connie Saltzman isan actor, director, and singer-songwriter from Bucks County, PA. You can see her on Season 3 of Unbreakable Kimmy Schmidt on Netflix, opposite Robert DeNiro in "The Comedian", and as the award-winning lead in the independent thriller "Honeybee", out on Amazon & iTunes. Off-Broadway credits: Implications of Cohabitation (Clurman Theater), Hotel Sonder (Davenport Theater), A Touch of Forever (FringeNYC). She is also the director of project:girl, a film series about girlhood that premiered at HBO's ITVFest 2017. In addition to acting & directing, she loves writing songs about overly personal topics and plays her music around New York. Natasha Hakata is an NYC-based Texan, whose select credits include: Sophie in RUINED (The Heights Players); Sigmund Freud in LOU (Theatre 4the People); THIS JUST IN! (Crashbox Theater Company); Leela NYC Festival (Dixon Place, QED). She has trained at the Atlantic Acting School, and also holds a bachelor’s degree in psychology (UT Austin) and master’s degree in occupational therapy (NYU). Michael Coppola, a rare native New Yorker, and Meisner trained actor, is a ten year veteran of the NY theatre, TV, and film scene. Some of his past credits include Morgan in Ben Holbrook’s play, “Sinners on a Southbound Bus,” which won the FringeFAVE award for best in show for the Kraine Theatre at the 2016 NY Fringe Festival. Austin in Annie R. Such’s play, “Come and Take It,” which won best play at the Nu10 Theatre Festival. Jimmy Provatti in Van Fisher’s play, “Code of Silence,” which bookended the Strawberry Theatre Festival at the St Clements Theatre. As well as, the role of Johnny in “Hotel Sonder: The Knot,” which was previously produced by Aileen Kyoko and co. Michael is extremely excited to be reunited with so many people from the Hotel Sonder cast and production team, and looking forward to making magic with them once again! Matthew S. Ramirez just completed the 2 year Professional Acting Training Program at The Maggie Flanigan Studio. Matthew is also bilingual speaking fluently in both English and Spanish. Cornelius McMoyler moved to New York for rock and roll. He then went screaming back to his first home, acting. He is thrilled to be working with fellow alumni. Cornelius is a graduate of the Maggie Flanigan Meisner Conservatory. Film: Killing McCarren, Cicada. Stage: Out of the Basement (Araca Project). Danielle Boss is thrilled to make her debut as Stage Manager for The Year of the Solar Eclipse at the Planet Connections Theatre Festivity. She is currently studying Theatre at the City College of New York. Her stage manager credits include The Caucasian Chalk Circle, Cymbeline, I Don’t Have to Show You No Stinking Badges, and Blood Wedding at CCNY. Danielle is beyond grateful to The Year of the Solar Eclipse team and Planet Connections for giving her this amazing opportunity and for the endless love and support from her friends and family. Danielle is an animal lover who volunteers at the ASPCA when she isn’t doing theater.